Your chance to see the fascinating mix of medieval, Cold War and post-communist history that this city has to offer. 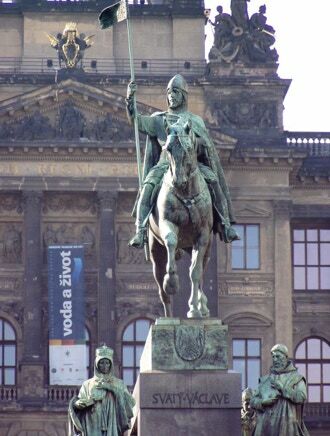 Prague was almost untouched by World War II damage and so has a marvellous variety of medieval, Baroque era, and modern (especially Art Nouveau, early 20th century) buildings and cityscapes. 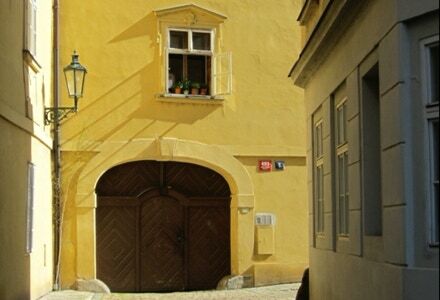 Walk the banks of the Vlatava River, climb the hill to Prague Castle and Cathedral, wander in the famous, Jewish Cemetery, enjoy the cafés in the Old Town. A morning guided walk taking in Wenceslas Square and the story of the 1968 Soviet invasion and, twenty-one years later, the November 1989 uprising that brought down the communist government. See the balcony where Vaclav Havel and Alexander Dubcek addressed the crowds. Coffee near the Old Town square, then a visit to the Clementinum complex, founded by the Jesuits in the 17th century: climb the Astronomical Tower for a wonderful view of the Prague roofscape - astronomers Tycho Brahe & Kepler worked in Prague around 1600. Afternoon walk across the Charles Bridge to explore the pretty Mala Strana district below the castle - the ‘left bank’ of Prague. 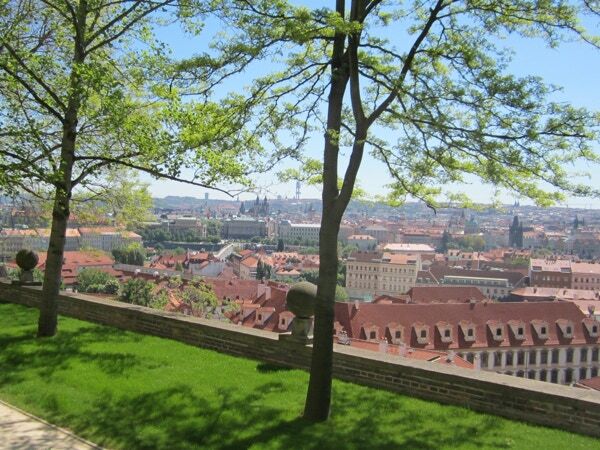 By tram up the Hradcany Hill - visit the Castle and the adjacent Cathedral. Coffee on the terrace of the Lobkovicz Palace for a great view back over the city. Afternoon visit to the National Monument on the Vitkov Hill - a taste of the communist era with huge Soviet-style halls, and the site of the mausoleum of 1950’s leader Gottwald (they gave up trying to preserve his body after seven years and cremated him - but the mechanism’s still there!). Back via the excellent modern Museum of Communism. • the beautiful St Agnes Convent, now housing a museum of medieval art. • Petrin Park, with its one-quarter sized replica of the Eiffel Tower. • For Prague, transport will be a mix of metro/tram/taxi where most appropriate - or a private minibus for larger groups. We do not organise any flights or train tickets. For 2- to 4-people, these are the prices for a Prague visit PER HEAD. Includes guiding; accommodation with breakfast (sharing double/twin rooms); transport within city. Does NOT include your travel to/from start/finish (air/train/transfer to hotel), meals, museum entries, extra nights before/after tour (approx. € 140/room/night).